These are only some of the features of the Microsoft Code Editor. Enter an If statement, and it automatically generates the closing End If. 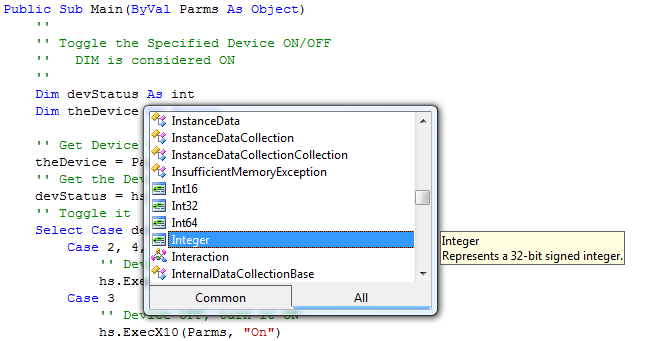 Not sure how the select vb statement works? Start typing the Select statement, hold the mouse cursor over the word Select and press F1 for help on the specific command.